Born in Bordeaux and a great wine lover for many years. 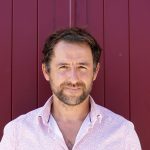 Pierre-Clément completed his business studies and went to live in England, where he worked as a sommelier before moving to London as a manager/wine merchant for the Nicolas UK Group. 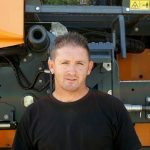 He developed his marketing expertise through his experience as an advertising representative for the “Sud Ouest” newspaper. Following on from these experiences, he became a partner to the setting-up of a company involved in importing and distributing wines and gourmet products in Borneo, Malaysia. On returning to his home town, Pierre-Clément joined the Château Nouret team to help promote the wines in the export market. She is the longest-serving of our employees and knows virtually the whole history of the château. 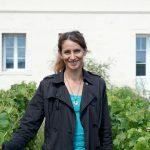 Sylvie has worked at Château Nouret for over 20 years and looks after the vines. 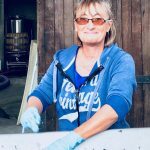 She carries out the vineyard tasks throughout the year, from pruning to harvesting.